Thank you and enjoy the 2016 Restaurant Stroll. 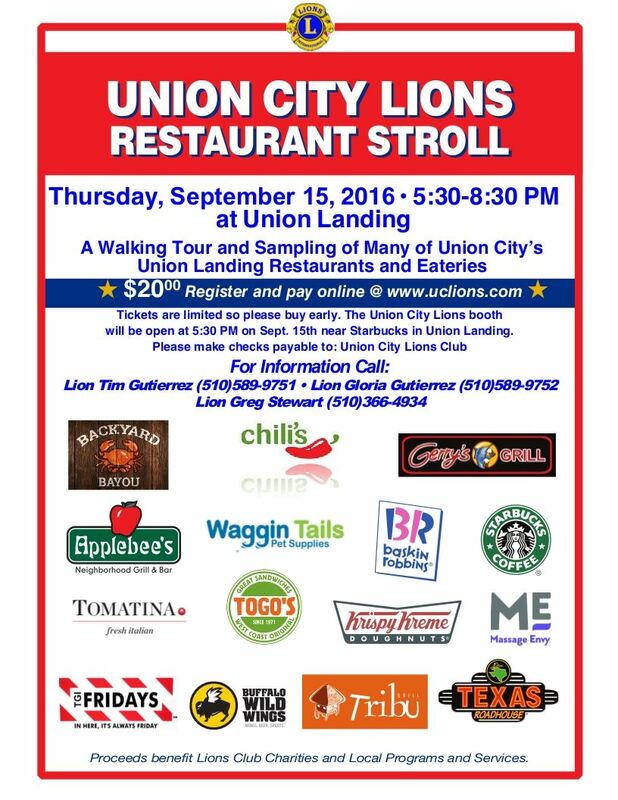 Come Join the Fun for our Annual Restaurant Stroll. For only $20 you can sample most of the Eateries and Restaurants located in the Union Landing Complex in Union City CA. While we haven't finalized this years Participants, you can click on the following link to see who was on board for the 2015 Restaurant Stroll.